When: Thu., May 30, 7 p.m., Fri., May 31, 7 p.m. and Sun., June 2, 2 & 7 p.m. 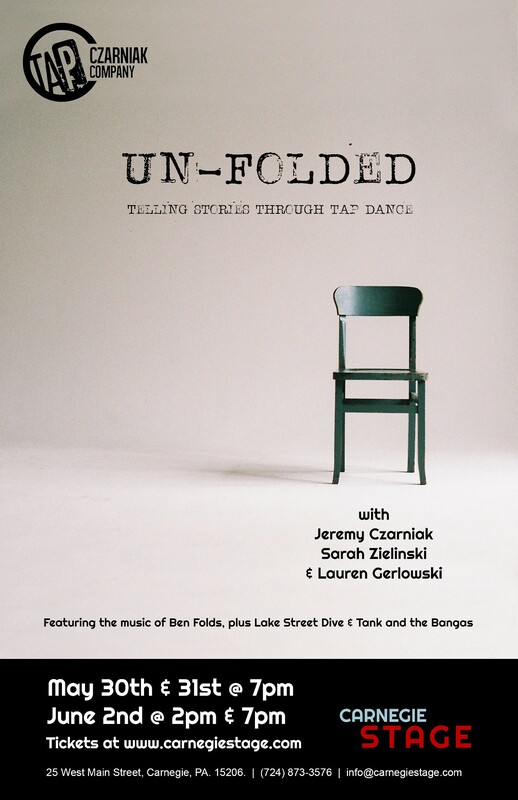 Featuring the music of Ben Folds, Lake Street Dive & Tank and the Bangas, "Un-Folded" tells the story of love, loss and self-realization through tap dance. 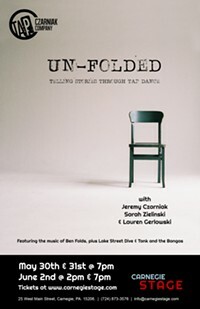 Produced by Czarniak Tap Company, this is a unique show where tap acts as percussion in the mix of other musical and storytelling elements, including video. Don't miss this very special show that is guaranteed to touch your heart.